Jen Wojtowicz’s thin square-shaped comic Bunny Girl feels like home and reads like a broken heart doing the hard work of healing. 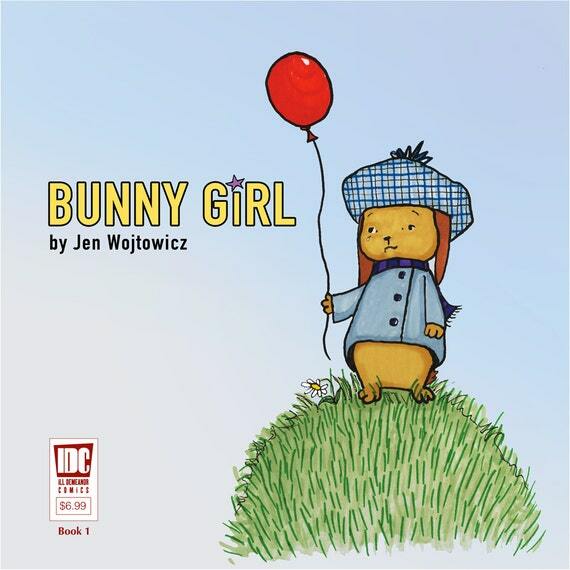 On the cover, a sweet little bunny with brown fur holds a red balloon as a single tear drops from her eye. The dedication on the inside of the cover reads: “For My Husband and Our Children.” The story that unfolds is deeply personal and its creation was clearly a labor of love. A note on the inside back cover explains that the comic is “about love transcending death and our continued relationship with those we love who are in spirit.” Bunny Girl explores grief from a child’s perspective, that of Wojtowicz’s eldest daughter who lost her little sister, and it does this work beautifully. I love the cozy, whimsical, slightly melancholy, illustrations in The Boy Who Grew Flowers (2005), which is cleverly written by Jen Wojtowicz and beautifully illustrated by Steve Adams. The cover depicts a pinkish boy with blushing cheeks, flowers in one hand, green shoes in the other. 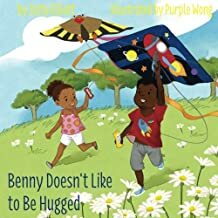 This is a love story about two children who are equally kind and, as we learn at the book’s end, share one of the same differences, which makes them perfectly normal to each other, and perfect for each other.